One of my classmates, Abby Huck, and I worked together on making a "hype" video that we could use as music educators to help encourage kids to join orchestra. We could use a video like this at the beginning of a presentation when we talk to students about joining orchestra when the time approaches in elementary school. This was the first iMovie trailer that I have worked on. It was a fun and educational process. What a great tool for teachers to use to create a hook for students at the beginning of a class! Making our trailer was not difficult at all because the app includes templates that are easy to work with. Using this app should not be a long process, especially when you establish experience with it! All we needed to do was edit the text to what we needed, add pictures, and edit the pictures and transitions to look the way we wanted them to. 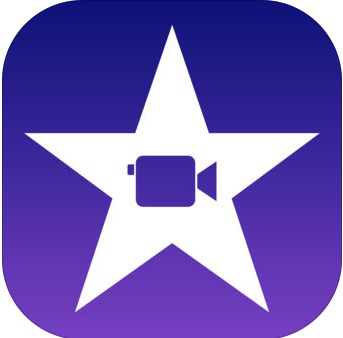 Information for using the iMovie app can be found through iBooks that you can download from the App Store. If if you are a teacher looking for a quick hook to start a class with, this is a perfect and creative tool to use. Right below you will see the video that Abby and I had such a fun time putting together! If you are a teacher interested in making a trailer like this, click on the button below to download iMovie from the App Store. I have included a picture of the app next to the button so that you can visually see what you are looking for.